As I type this, an “arctic air invasion” is pushing its way south to us in Texas, leaving much of the country feeling as cold as a mid-winter’s day. While I’m sitting here thinking of the precautions and preparations I’ll take for the impending cold spell, I wanted to share a list of the most important items I carry with me and how those correspond to preparing for cold weather. 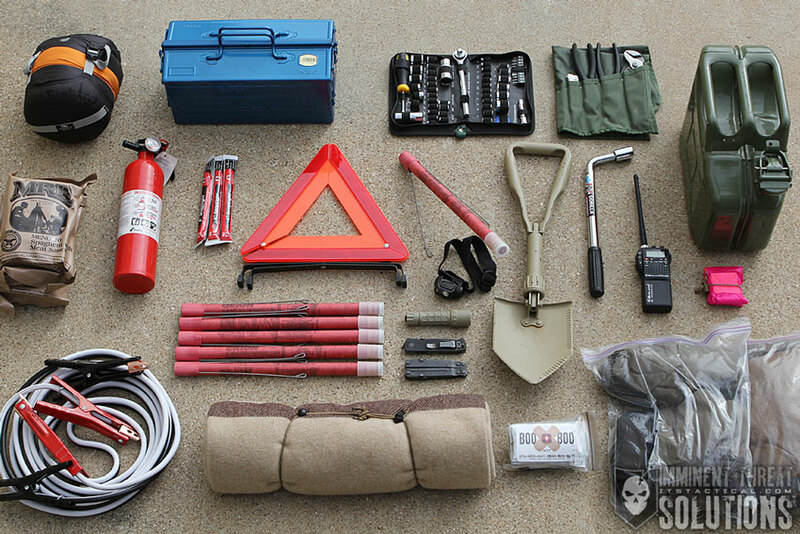 During an emergency is a lousy time to think of all the things you should have been carrying. The important thing is not to wait until the last minute to prepare. This is a pretty comprehensive step, but extremely important, nonetheless. Keeping your vehicle serviced includes ensuring your fluids are changed at the proper intervals and topped off where applicable. This is the mindset portion of this article, take care of your vehicle and your vehicle will take care of you. Most emergencies can be prevented by keeping your vehicle in top condition. 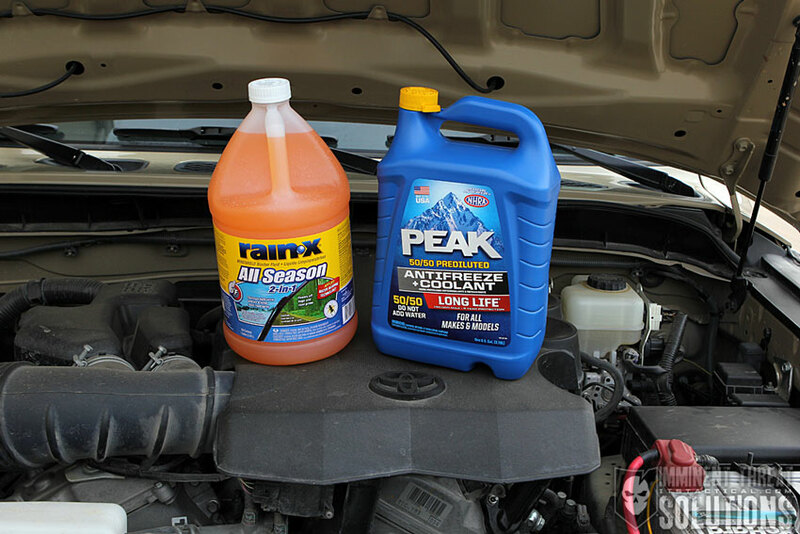 While a list is below of what to check, cold weather makes a few of these even more important, such as ensuring your antifreeze level and type of mixture is good to go, putting a winter-specific “no-freeze” windshield wiper fluid mix into your fluid reservoir and keeping the gas tank as close to full as possible at all times. One last note on your cooling system is to ensure it’s flushed every few years, the danger here is that after time, the rust inhibitors in antifreeze break down and make the fluid less effective. Flushing will also remove any particles that could potentially clog the system. There’s plenty of cheap “made in china” cables out there, so be cautious. I recommend getting cables with multiple-strand four gauge copper wire. The alligator clips should also be made of copper with pressed/crimped connections to the cables. 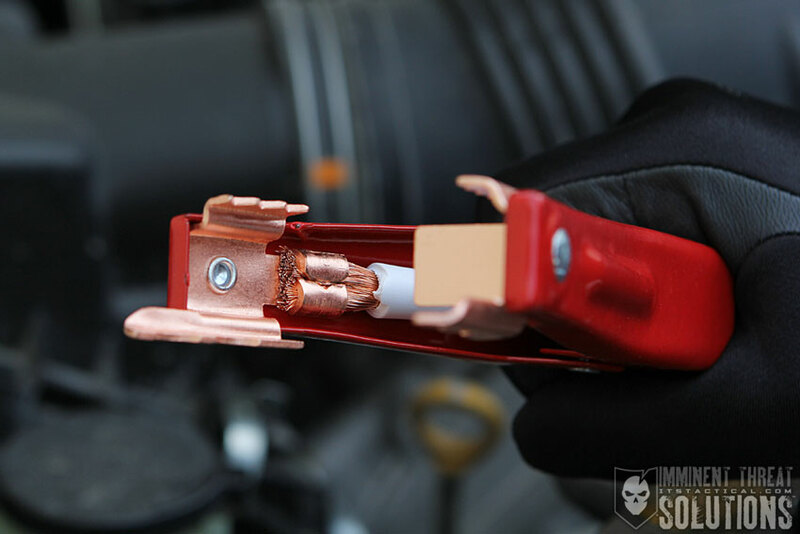 Soldered connections should be avoided as the solder could potentially melt. Many cables out there feature copper-coated alligator clips rather than solid copper, which isn’t necessarily a bad thing. Soild copper is always a better choice though if you can afford it. You’ll want your jumper cables to be at least 12 feet in length, but longer is always better. 16 feet is ideal for most situations and should allow you to get a jump from someone behind you if need be. Go with 20 feet if you have a truck. Having a flashlight with you should fall under the EDC (Every Day Carry) category for most of you, but it never hurts to have an extra in your vehicle. 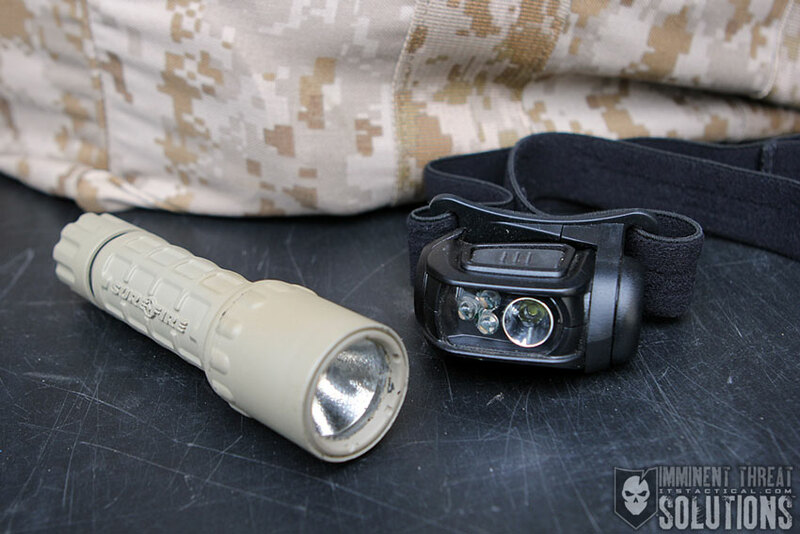 There are many different kinds of flashlights out there, but essentially two types of light, incandescent like the Surefire G2 in the photo below, or LED like the Princeton Tec Remix Pro shown. Both have their advantages, which I’ll quickly hit here in the article. LED can potentially last longer than an incandescent and will keep running even as the batteries get depleted. LEDs nearly run forever and there’s no bulb to have to worry about changing. Incandescent bulbs are typically brighter than LEDs depending on what you buy, but they don’t typically last as long on the same set of batteries as LEDs. There’s also worrying about a bulb burning out with incandescent flashlights. No matter what you choose, just get something that works for you and will allow you to change a tire or inspect your vehicle at night. Always carry extra batteries too. 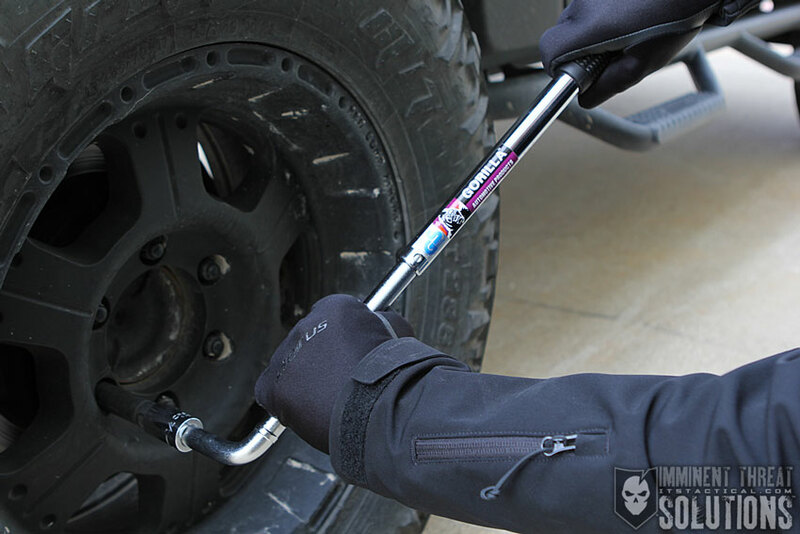 A Jack and Lug Wrench (Tire Iron) are essential and without them you won’t be able to change a flat tire. Hopefully the items that came with your vehicle are still in it. If not, it’s time to take care of that problem. For those who could possibly be unfamiliar with a Jack and Lug Wrench, a Jack is what lifts the vehicle to change a tire, and a Lug Wrench is what you use to remove the lug nuts that hold your wheel on. If you don’t know how to change a tire, now is the time to learn. I made sure I took the time to teach my wife, Kelly, how to change a tire and that she knows where everything is she’ll need in her vehicle and how it works. Be sure that your Jack is complete and in good working order. With most Jacks, there’s a rod that’s used to turn the Jack to raise it, so make sure you have it. If you have an aftermarket lift on your vehicle, I’d hope you don’t need me telling you this, but your factory jack might not reach high enough anymore to enable you to change a flat. I’ve also upgraded my Lug Wrench to a Gorilla Power Wrench, which is a compact tool that extends to provide even more leverage when removing lug nuts. 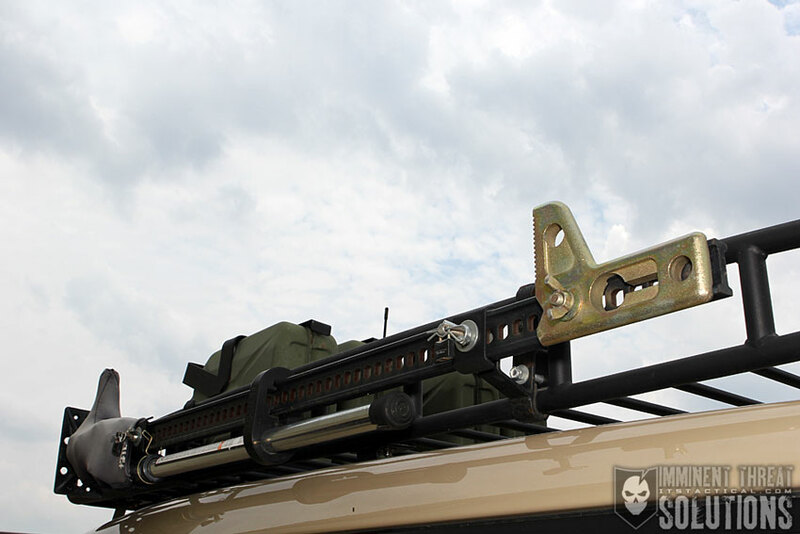 I carry a Hi-Lift Jack and a few accessories to ensure I can always jack up my vehicle when necessary on the street or when off-road. Hi-Lifts are great because they double as a come-along for winching or a jaws-of-life to spread a car door open in an emergency. The most common vehicle problem is a flat tire, having a proper spare tire with you can mean the difference between making it to your destination or not. Of course, you also need to be able to change a tire as I mentioned above. Don’t rely on a can of Fix-A-Flat, I’ve seen those fail too often when people were depending on them. Always check your spare periodically to ensure it’s properly inflated and there’s no cracking in the rubber. 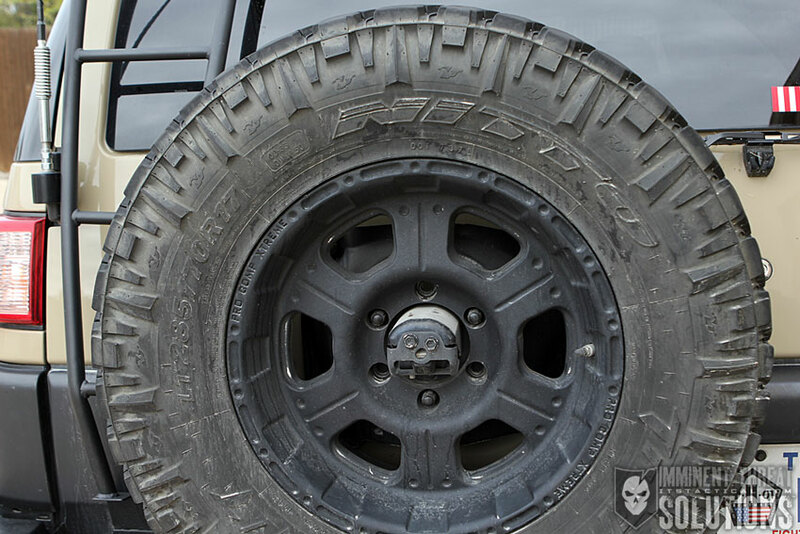 Tires have a shelf life and a general rule is that a tire is only good for about five years before the rubber starts to deteriorate. 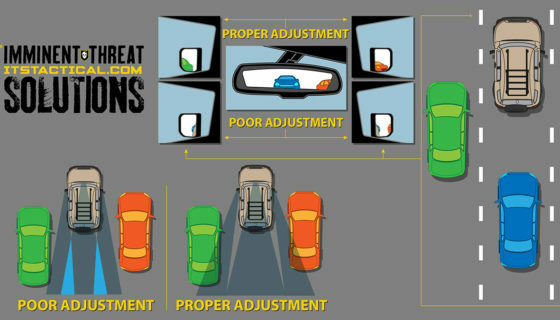 This includes a spare tire that’s never been used, especially if your spare is exposed to the elements like on a truck. I carry a full-size spare tire and do a 5-wheel rotation every other oil change. Not everyone has the space to carry a full-size spare, but it you can, you won’t have to worry about driving around on an insufficient tire until you can get your flat fixed. 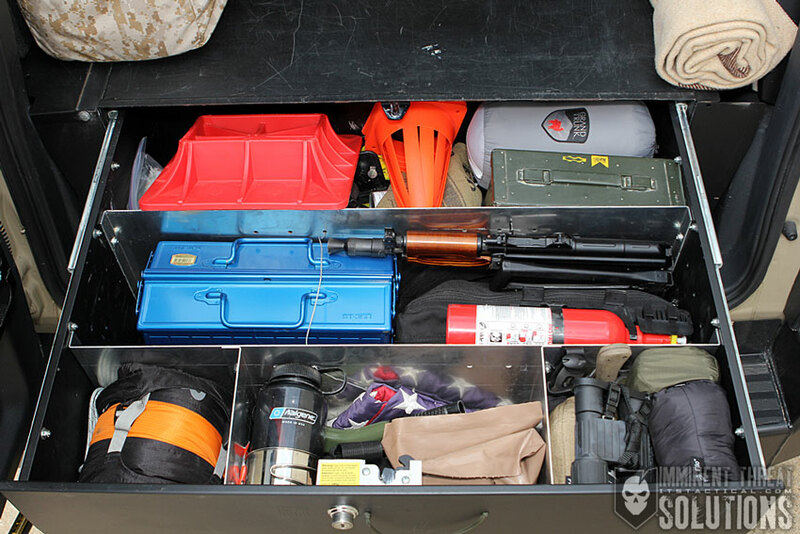 Including a simple tool kit in your Vehicle Emergency Kit is always a great idea. 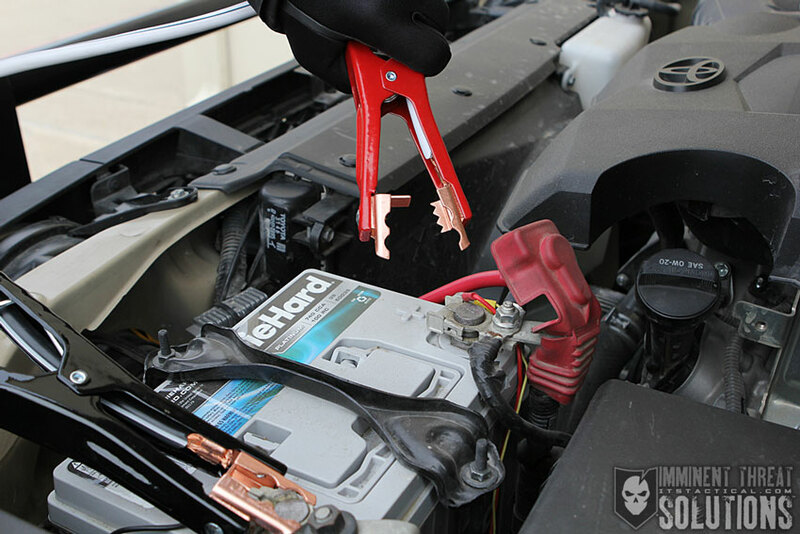 At the very least, you should have the tools necessary to replace your battery. A small wrench set, socket set and a pair of pliers will do most of the tasks required, but throwing in a few screwdrivers, some electrical tape, duct tape, a tire pressure gauge and spare fuses will make it even better. 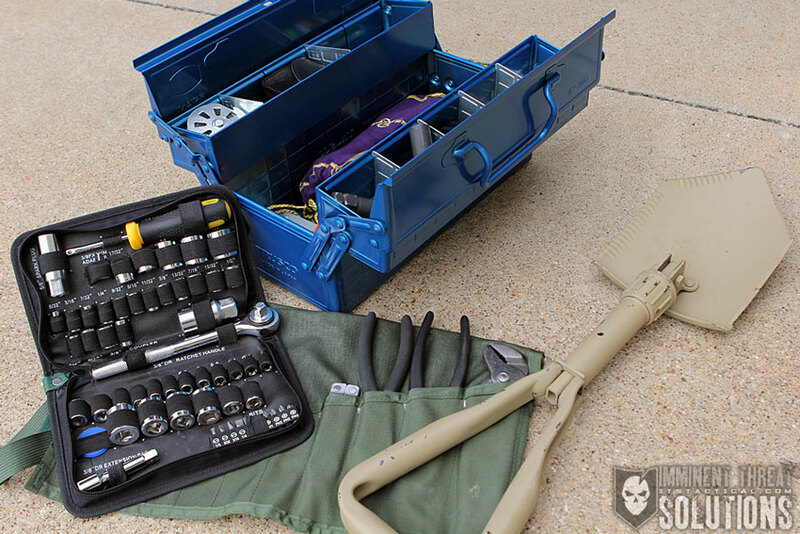 While you’ll never know what you might need your tools for, you can get even more specific and just carry the common wrench and socket sizes for your vehicle. This takes a working knowledge of your vehicle and If you don’t have that, just go with a full set. If you can fit a full-size or folding shovel, I’d highly recommend one as well. It could mean the difference between being stuck or getting home to your loved ones. 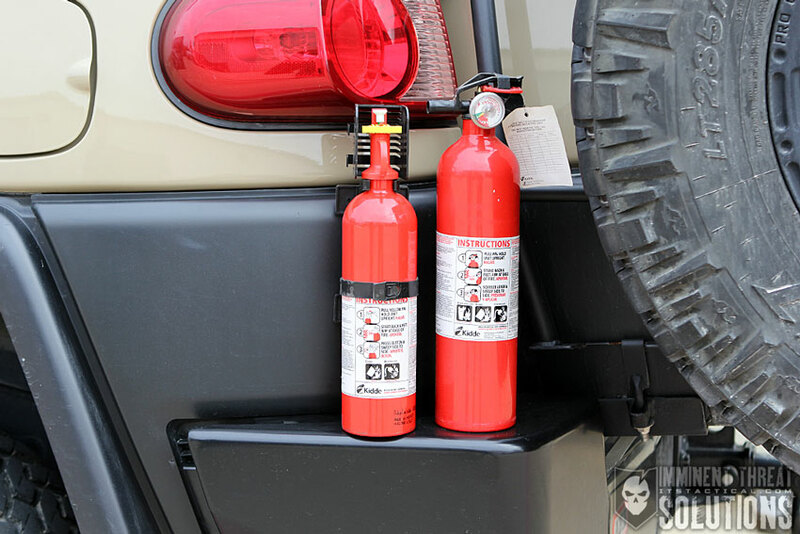 Fire Extinguishers are an often forgotten element in most Vehicle Emergency Kits. How many times have you seen a car on the side of the road that was either on fire, or nice and crispy from being on fire? While hopefully the answer is “not often,” it does happen and having a Fire Extinguisher with you could mean the difference between a burnt hose and a burnt car. This of course goes back to proper vehicle maintenance to avoid anything like this, but who knows, it might be you putting out someone else’s fire. Don’t skimp on a good mount for your extinguisher either. There are quite a few vehicle Fire Extinguishers out there and I’m currently looking to upgrade the Kidde dry chemical extinguisher that I keep in my vehicle. What’s really drawing my attention are Halotron extinguishers, which use an electrically non-conductive “clean” extinguishing agent that rapidly turns into a gas. It’s good on ABC fires and leaves no damaging residue behind to clean up. Fire Extinguishers made for vehicles will typically come in two different dry chemical configurations (ABC and BC), to fight different classifications of fires. Here’s a quick primer on fire classes, using the wrong type of fire extinguisher on the wrong class of fire can make matters worse! Class A: Ordinary Combustibles – Wood, Paper, Cloth, Trash, Plastics and Solids that are not metal. Class B: Flammable and Combustible Liquids – Gasoline, Oil, Grease, Acetone and all Flammable Gasses. Remember that dry chemical fire extinguishers need to be turned upside down periodically to loosen up the chemical that will settle at the bottom of the extinguisher. If the chemicals become caked, the extinguisher may not discharge properly when it’s needed. This goes for those extinguishers you have sitting around the house too. You do have Fire Extinguishers in your house, right? The purpose of an emergency signaling device is two fold, it can be used to alert oncoming traffic to your presence on the side of the road and can also be used as a distress signal in an emergency. Road Flares are great because in addition to the two uses mentioned above, they can also be used to start a fire. Carrying another way to start a fire with you is never a bad thing, but they do need to be monitored while in use on the road to ensure you’re not starting a fire and adding insult to injury. Activating a road flare is accomplished with a simple strike cap, much like a gigantic match. Depending on the length, these can burn from 5 minutes to 30 minutes and don’t require retrieval from the roadside, as they’ll eventually burn themselves out. There’s a fantastic 2005 study (link to PDF) done by Penn State Transportation Research which analyzes the effectiveness of Orion Signals Emergency Road Flares in enhancing the “safety zone,” or the area which is created by the presence of safety devices. 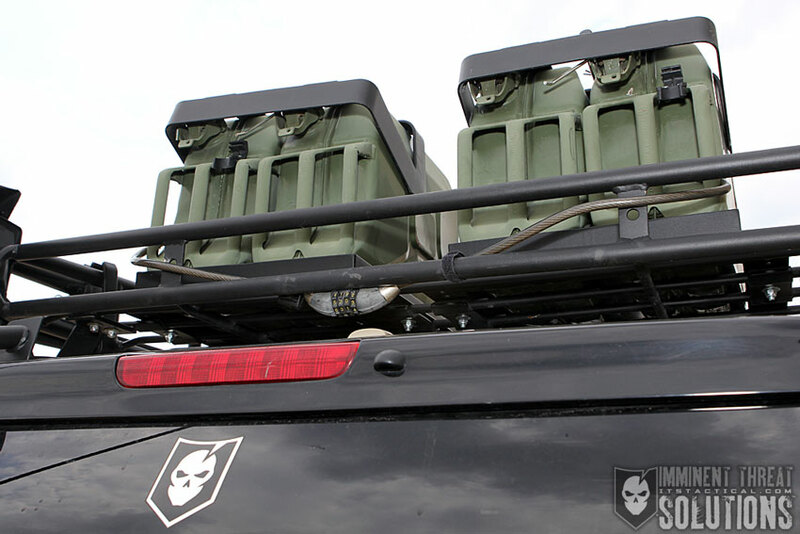 I carry six of the Orion Signal 30 Minute Road Flares with an integrated wire stand to prop them up on the roadway when deployed. It’s somewhat thin wire, but even if the flare did fall, I feel they’d still be just as effective. 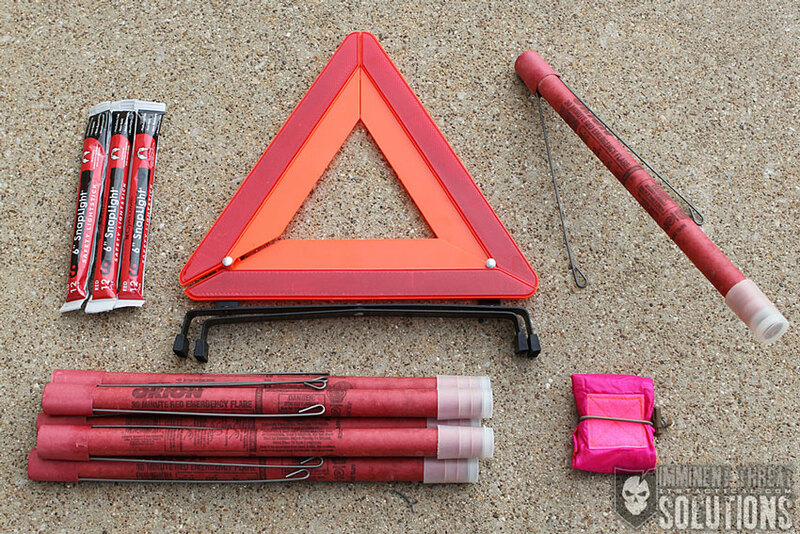 Other markers available include brightly colored flags like an MPIL and reflective items such as collapsible Warning Triangles. A flag can be tied to an open hood/trunk and reflective markers can be put out in a similar fashion to road flares, marking your location. Chemlights can work here as well, but may not be seen until an oncoming vehicle is close to your position. I’m going to mention having a radio here under emergency signaling, but the type of radio, whether a CB or other variety is definitely a personal choice. I have a CB hard wired into my vehicle that can pick up Weather Frequencies and I also carry a backup handheld CB. There’s a comprehensive article I’ve recently written, called The Ultimate Guide to Learning about Radio Communication and Why You Should. I’d highly recommend it as a primer on all the different radio options out there. First off, as my friend Caleb from Lone Star Medics constantly states “Drink Water!” Staying hydrated can be especially important in cold weather, when you don’t have the heat to continually remind you to drink water. The potential of being stranded with just the items in your vehicle is a sobering reality and while food is important, water is even more important. Most of us drive along busy suburban roads where a Quik-E-Mart is just a few blocks away, but you’re not always in that situation, especially when traveling. 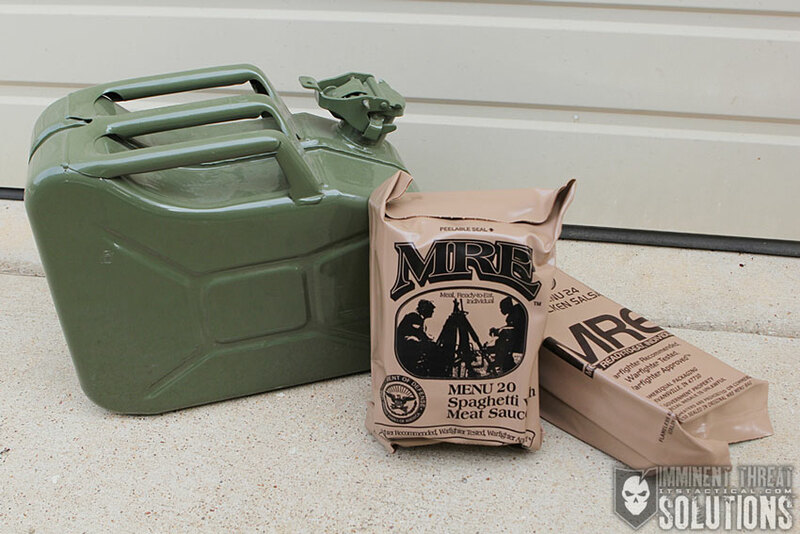 MREs (Meals Ready to Eat) are great to carry, but they’re temperature sensitive and need to be rotated out on a regular basis, especially if you carry them in your vehicle during the summer. It wouldn’t be right to mention MREs and not mention carrying some toilet paper too, unless you have one that refuses to exit. The best plan is to try and stay with your vehicle if possible until someone finds you and having food and water can help make that possible if you ever find yourself stranded. A blanket is truly a multi-purpose item and can not only keep you warm in the winter, but can be used to treat victims in shock year round. If you’re tight on space, at the very least toss a couple of space blankets into your trunk. 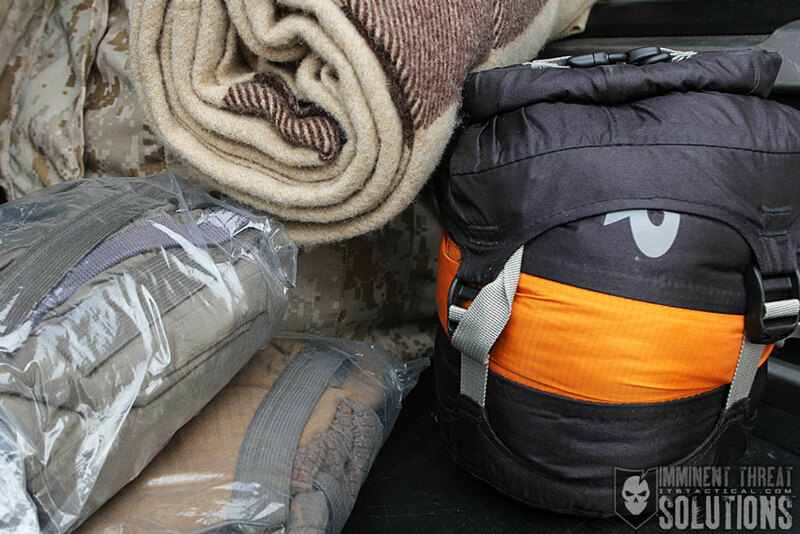 If you have the space, a Sleeping Bag can also be a great addition. I carry an Elephant’s Foot Sleeping bag in my FJ, which is just the lower half of a sleeping bag that has suspenders to go over a jacket. 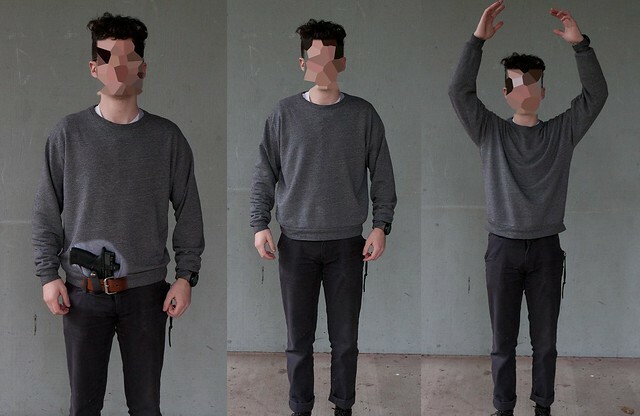 It’s a space saver that’s designed to work in coordination with a good jacket to make up for the lack of a top. Speaking of jackets, it never hurts to have a full change of clothes, warm undergarments, an outer layer and gloves to help keep you warm when changing a flat tire. The primary purpose of a Rescue Tool is escaping from a vehicle, which in the event your vehicles takes a dive into a body of water, you’re most likely not going to be able to simply roll down the window to escape. 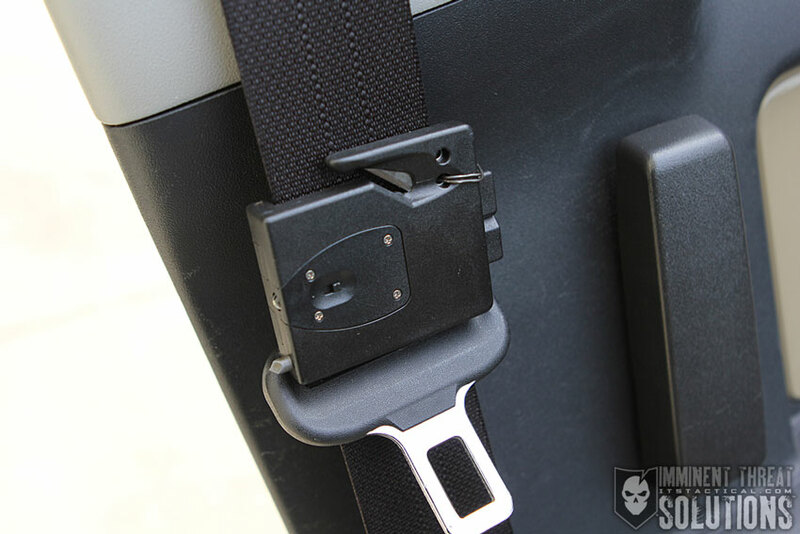 Look for a tool that has both a seat belt cutter and a glass breaker and locate it centrally where the driver or passenger can reach it, or have one for each. I have a CRKT ExiTool on each of the front seat belts, which features a seat belt cutter and a glass breaker. They’re supposed to clip onto the seatbelt and be removable in an emergency, but mine kept falling off so often, I wired them on. I’m still looking for a tool that offers the versatility of the ExiTool, but is made better. A reason to not go with a permanently attached rescue tool is that you can use it for rescuing others that could be in a similar situation, or need to be pulled through a window to escape a vehicle. While a good knife should already be part of your EDC like a flashlight, it’s never a bad idea to have a spare with your vehicle. In addition to a knife, a good Multi-Tool will also come in handy and can replace needing to carry a few of the tools we mentioned above. 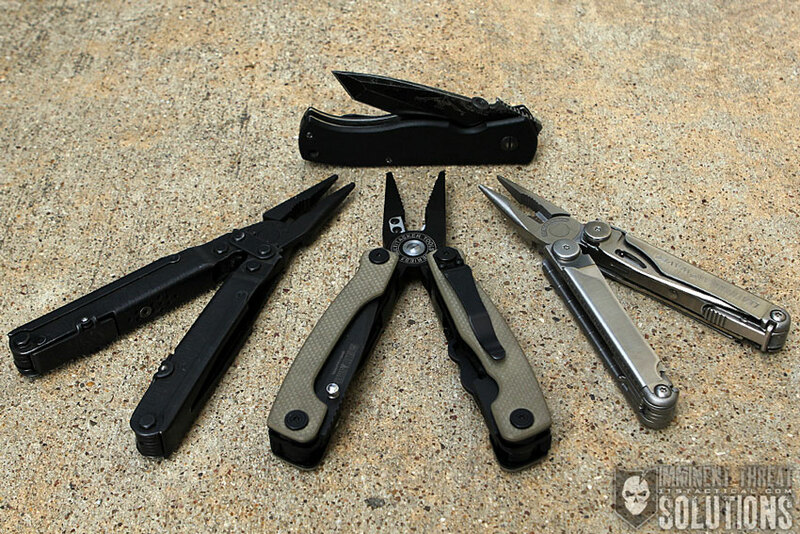 I’m partial to the SOG PowerLock because of its leveraging capability, but also really like the Leatherman Wave I have. While more of a weapon-specific tool, my favorite pair of Multi-Tool pliers is on the Multitasker Series 3, hands down. This list wouldn’t be complete without discussing a first aid kit. 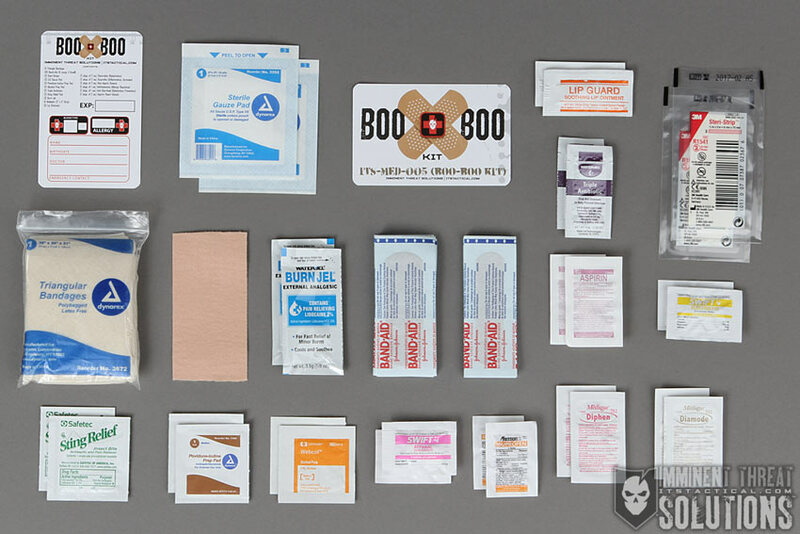 Having the basics with you like bandages and common medications is always a good thing and is why in addition to our ITS ETA and EDC Trauma Kits, we also assembled a Boo-Boo Kit. 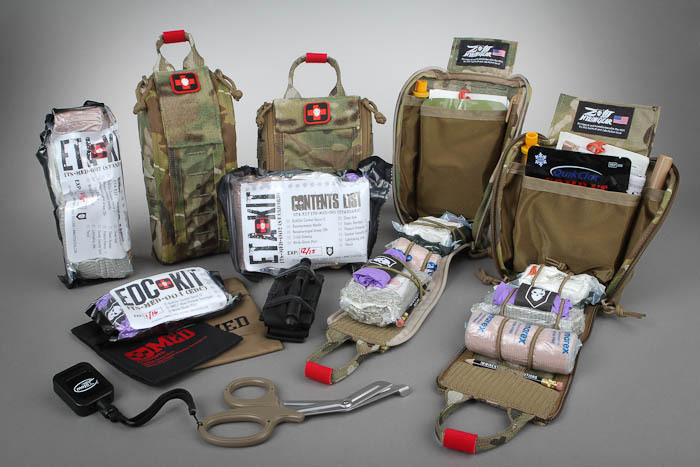 While a full-on Trauma Kit isn’t always practical for everyone, having at least the minimum to stop traumatic bleeding is a necessity in my book. I won’t turn this into a sales pitch for our medical line-up, but I think we have some of the best kits and supplies available out there. Owning the company does make me a bit biased though. 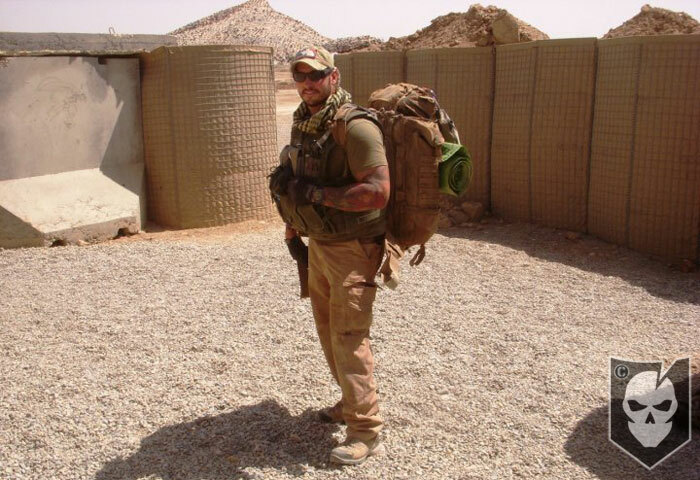 Whatever you decide to carry, just carry something that can stop traumatic bleeding and fix the bumps and bruises that come up. Preventing infection should also be at the top of your list. There’s a few things I didn’t cover that aren’t necessarily in my top 12, but that deserve an honorable mention. I touched on fire starting with the road flares, but having the tools to start a proper fire if necessary is worthwhile to mention. Also carrying an empty fuel tank or collapsible container that can be used for fuel would be a great addition, but I did mention to try to always keep your fuel level as full as possible. In today’s fast-paced world, not many of us carry cash anymore. Stick some cash and coins in your vehicle to be prepared and don’t spend it on fast food when you’re scrounging for change on the floor board. Last, but not least, a windshield scraper for ice is a cheap tool to toss in your glove box. Our resident Eastern Sierra correspondent, Jeff More, wrote a great article on how to assemble your own emergency kit after realizing most out there are junk. His write-up isn’t cold weather specific, but still has a lot of great points, like spending your money well and buying quality items. It’s important to be prepared out there, because you never know what’s going to happen. Having some important supplies and keeping your vehicle in top condition, move the odds further in your favor. 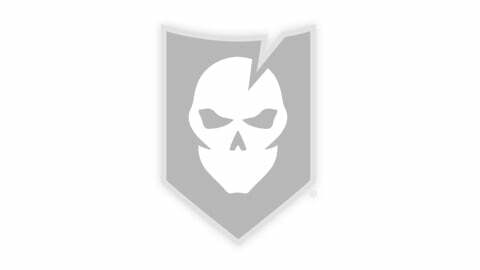 ITS Tactical 2nd Anniversary Giveaway Winners Announced!